When you pray, you are always communicating with Mother / Father God. God always hears you whether you say something or whether you are thinking of something. This applies whether it is good or bad. So always be careful with what you say or think. Your thoughts are heard even though they are in your head and you think that nobody hears you. Every time that you pray, you are taking one step towards God and God is taking two steps towards you. When you pray, ask for whatever it is that you want and always detach yourself from the outcome or the result. Have faith for what you asked or prayed for and prepare yourself for your request to be granted. And most importantly, always have gratitude towards God for listening to your prayer request and say thank you to God from your heart. When you pray, you must be relaxed and calm. Do not be anxious and desperate when you pray. Be calm, in your centered space and ask quietly for what you want. Know that it will happen and live your life as if it has already happened. Do not plead for help in a desperate way. Prayer is not difficult and there are no rules. It is simple and comes from the heart. It has to be sincere and authentic and with loving intentions. Never pray for anything bad to happen. You are just building up bad karma that will boomerang at you. You do not need to use long, complicated prayers or ones that repeat each other over and over. This is not a race to see who can say the same prayer the most. This will not get you what you need just because you said it so many times. It does not work like this. Nor will it get you what you want by being frustrated that you do not get what you want immediately. Just state your prayer with your heart filled intention, show gratitude, release it knowing it will happen, and live your life as if it has already happened. Then look for the miracle in your life. It really is that simple. But you must be patient as the answer to your prayer will happen when it is time for it to happen that is in your highest and best good consistent with your life plan. Always pray for the highest and best good to happen and hold your vision of perfection. If for some reason you do not get what you want, understand and accept that Divine perspective is greater than your perspective. God does answer all prayers, but sometimes mercifully he does say no, but that is for our highest and best good. This happened to me and I learned this lesson. I could not pass the bar exam in California (a three-day exam to practice law). I kept praying and it did not happen. I was mad and lost faith. I spent all this money on law school and here I was unable to be a lawyer. Then I awakened and realized that the Divine Plan for me was to not be an attorney. It was far, far greater than being a lawyer stuck in 3D dealing with separation every day and conflict. The Divine perspective was so greater than my perspective and I thank God every day that I am NOT and attorney. There is no doubt that I am much happier now than I ever would be if I was an attorney. The grass is not always greener on the other side. Remember that God is Love and Love does not want you to suffer. Love wants you to have what you want. God wants you to be happy but you must be ready to receive and not block what you are asking for. Have complete faith that it is already there and wait and live your life as if it has already happened and have trust. Start by showing gratitude. Also, the power of prayer is exponentially strengthened when others hold your vision. This is why my love bomb meditation (Click HERE to learn about the love bomb) has such a tremendous impact in helping raise the collective consciousness on the planet. All the love bomb participants energies and intentions are included in my prayer when I meditate. If you want your prayers answered, you must have faith, you must ask in a calm way, with gratitude, and you must believe and act as if the prayer has already been answered. 1. God I want to achieve _____________(state this) in my life. 2. The plans that I have already set into motion and action to achieving this are_______________(state this). 3. This is what I request from you_____________________(state this). But remember that any worry is basically negative prayer telling God how scared and frightened you are and it reinforces all of the things that you do not want to happen. So do NOT prey like this. Do not say “Please do not let an earthquake hit or please do not let me lose my job.” You are just drawing in these things with your fears as the Universe is precise. Always have positive prayers. 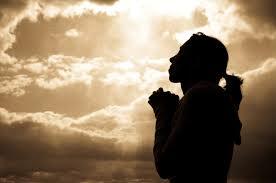 Pray for a better higher paying job and do not pray that you will not lose your job. Prayer can definitely change your life, but it does start within. You must set the correct intention from the heart. Follow the prayer guideline in bold above and watch subtly around you for the miracles to occur in your life. They will be there if they are for your highest and best good. But your prayers have already been answered, as you are here in these glorious times. You are ascending into the higher dimensions. Focus on this and all of your 3D problems seem meaningless. I need your help. Please click HERE to view the post on the love bomb meditation. This is important and does help tremendously. If you are interested in helping, please send me a comment (just scroll down and you will see comments) anywhere on this page or any other page on my website. I need your first name, your last name initial and the state or country you are from and I will add you to the growing list. This is a list of people who have given me their permission to include them in my meditation to send love to Mother Earth. There is strength in numbers and the meditation is so much more intensified when others give their love and intention to send love. No meditation on your part is required (unless you want to ). The people who are participating in this love bomb meditation can be found by clicking HERE. Help me grow this list, won’t you? PS. If you like this posting, click on the “Sign Me Up” button on the right side of the website and you will get an e-mail when I have a new post. And click on the “Like” button on the right to like my Facebook Page. Permission is given to copy and distribute this material, provided the content is copied in its entirety and unaltered, is distributed freely, and this notice and the link below is included. I would love a free healing. How do I contact you for one? Thanks so much. Love your postings. This entry was posted on May 8, 2013 by Andrew Bojarski in Andrew's Posts and tagged Arch Angels, Ascended Masters, Ascension, Awakening, Channeling, Energy, Energy Healing, Higher Self, Love, Meditation, prayer, Spirituality. Click the button to get new posts delivered hot and fresh to your inbox.